During your dental exam, Dr. Tyson will carefully and thoroughly evaluate your teeth, gums, and bite for signs of decay, damage, or disease. He will also check the way your teeth line up when you bite and make sure your jaw is functioning properly. Finally, he will also screen the soft tissues and area surrounding your jaws for any possible signs of oral cancer. Dr. Tyson will also ask you questions pertaining to your overall health to obtain more information about your medications, allergies, health habits, and health conditions that may affect your oral health. He may also ask about any current health issues and treatments, or about your past procedures, surgeries, or experience with anesthesia. 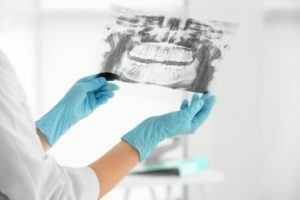 Dental x-rays are a popular diagnostic tool used to identify cavities that can not be seen during a visual exam, as well as to identify possible issues with the underlying bone structure or jaw. During a dental x-ray, you will bite down on a plastic disc to position your bite correctly. They only take a few minutes and use very minimal radiation. During your teeth cleaning, the plaque and tartar will be removed from your teeth with the use of a scaler and gritty toothpaste. 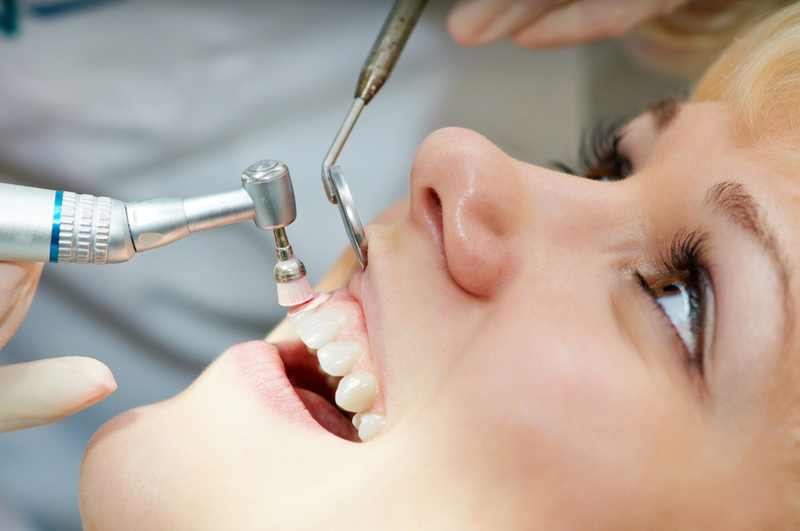 Then your teeth will be professionally flossed to remove plaque in the hard to reach places. You will also receive a fluoride treatment and have a final fluoride varnish painted on the surface of your teeth. Dental Sealants: A protective coating applied to the back molars to protect against tooth decay. Dental sealants help to smooth out the chewing surfaces of teeth to prevent debris from sticking in tiny crevices and breeding bacteria. Mouthguards: Used to protect your teeth when playing sports. Mouthguards can also used to protect your teeth from becoming damaged as a result of teeth grinding or clenching. Fluoride: Strengthens your teeth and helps prevent tooth decay. There are two types of fluoride: topical and systemic. Topical fluoride is applied to the surface of the teeth through toothpaste and fluoride treatments. System fluoride is ingested, usually through the drinking water. Both sources of fluoride strengthen tooth enamel by binding with calcium to create a stronger surface that is more resistant against bacteria. Patient Education: A large part of preventing dental issues is understanding how to properly care for your teeth and gums. At Tyson Dental, we provide you with the resources necessary to combat potential dental problems. Americans are less likely to visit the dentist as they grow older. A study completed by the Centers for Disease Control found that a mere 57% of Americans over the age of 65 visited their dentist. For adults under the age of 65, 61% visited their dentist, while 79 percent of children aged 2-17 visited their dentist. Preventative dentistry keeps your smile bright and healthy without the need for extensive dental procedures. Regular semi-annual appointments with Tyson Dental and a good daily oral health routine will also decrease your chances of developing tooth decay and gum disease, which are the two leading causes of tooth loss. Once your teeth are lost, you will have to undergo costly dental procedures to restore your speaking and eating functions. Preventative dentistry aims to preserve both your smile and your wallet. 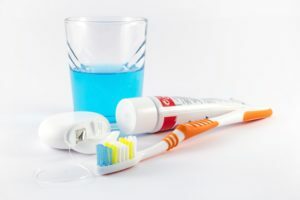 What type of dental products should I use at home? Toothbrush: Your toothbrush should have soft bristles with a small-medium head. Recent studies have shown that oscillating electric toothbrushes can remove plaque more efficiently than manual toothbrushes, however this is only if they are used properly. Toothpaste: A good toothpaste is one that is fluoridated and approved by the American Dental Association. You will also want to consider whether you have tooth sensitivity. There are toothpaste specially formulated for those with sensitive teeth that help to preserve and strengthen the enamel, while also decreasing the pain sensation. Also, many whitening toothpaste can wear down enamel, making sensitivity worse. You will want to consider these things when deciding which toothpaste is right for you. This may be something to discuss when you come in for your dental appointment. Floss: There are two main variations of floss available. The first is a waxed monofilament floss that does not fray and is more resistant to breaking, but cannot fit as easily into tight spaces. The second is an unwaxed multifilament floss that can fit easily into tight spaces, but can also be more prone to fraying and breaking. What other preventative measures can practice at home? For starters, you will want to keep up on your daily dental routine. This should consist of brushing twice a day with a fluoridated toothpaste and flossing at least once a day. Keeping your teeth clean is a key element in preventing dental problems from occurring. You will also want to avoid activities that can increase your risk of dental problems. Activities such as chewing tobacco, smoking, and drinking excessive amounts of alcohol can hinder your oral health and even cause additional problems such as dry mouth, stained teeth, plaque accumulation, gum disease, and tooth loss. They can also increase your chances of developing oral cancer. One final thing you can do at home to prevent dental problems is to eat a balanced diet. While this has many other health benefits, eating a balanced diet ensures your teeth and gums have the necessary nutrients to maintain themselves. High calcium foods are recommended to promote dental health, while foods high in sugars or carbs should be consumed in moderation as they feed the bacteria that cause plaque and decay. To develop your preventative dental plan, schedule a consultation with Dr. Chase Tyson of Tyson Dental today! We are proud to serve residents of Huntsville and the surrounding communities.